It is no secret that I had a major addiction to cheese before I quit eating it realized my stomach had no intentions of ever properly digesting it. It took me a long time to get over my cheese addiction – and the one food I still desperately miss is macaroni and cheese. There is just something so incredibly comforting and soothing about eating it. Black beans, tomatoes, corn and cilantro drowning in chipotle mac’n’cheese sauce. Because…why not? Delicious perfection. Is macaroni and tacos a strange combination? Have you ever married two foods with an amazing outcome? I shared this recipe in GFE’s gluten free recipe roundup! Click here to see other awesome GF recipes! I shared this recipe on Ricki Heller’s recipe roundup! I shared this recipe on Healthy Vegan Friday and Gluten Free Friday! I think I’ve reached the point where nothing seems like a strange combination to me, and the idea of taco macaroni actually sounds pretty brilliant. 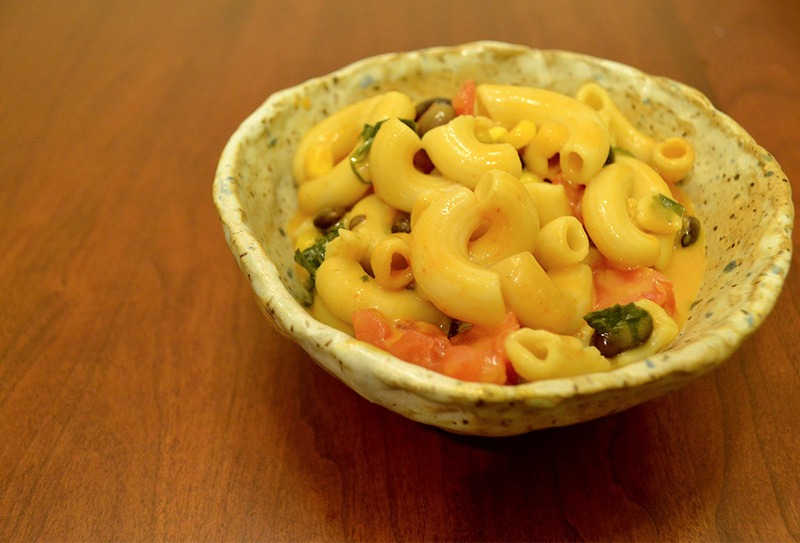 It’s been a while since I’ve enjoyed a comforting bowl of mac… That needs to change, stat. 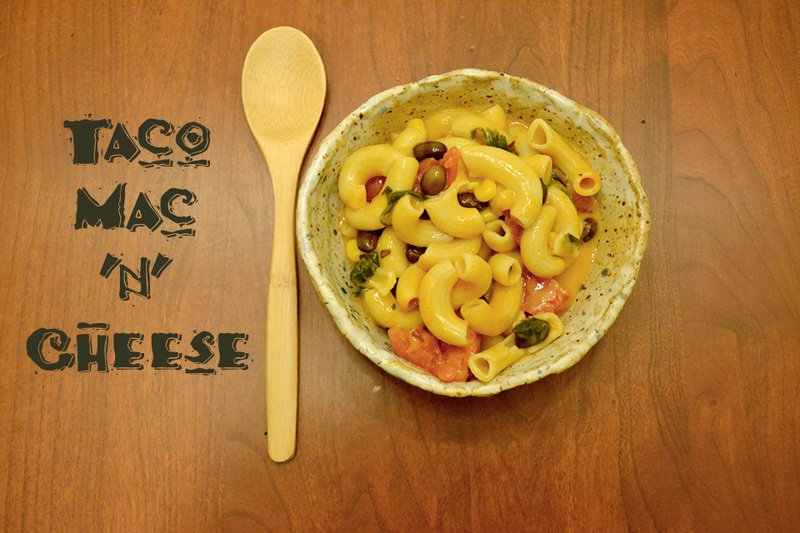 Basically noodles + cheesy flavor + mexican anything = amazing. amazing. amazing.